The Bordo 6000 is produced with 5mm steel bars which have an innovative 2 component soft touch coating to prevent damage to bike paintwork. The bars, the lock body and the special rivets linking them together are all produced from hardened steel. The link construction enables compact folding so transport is convenient, while maintaining the ability to lock the bike to large objects. 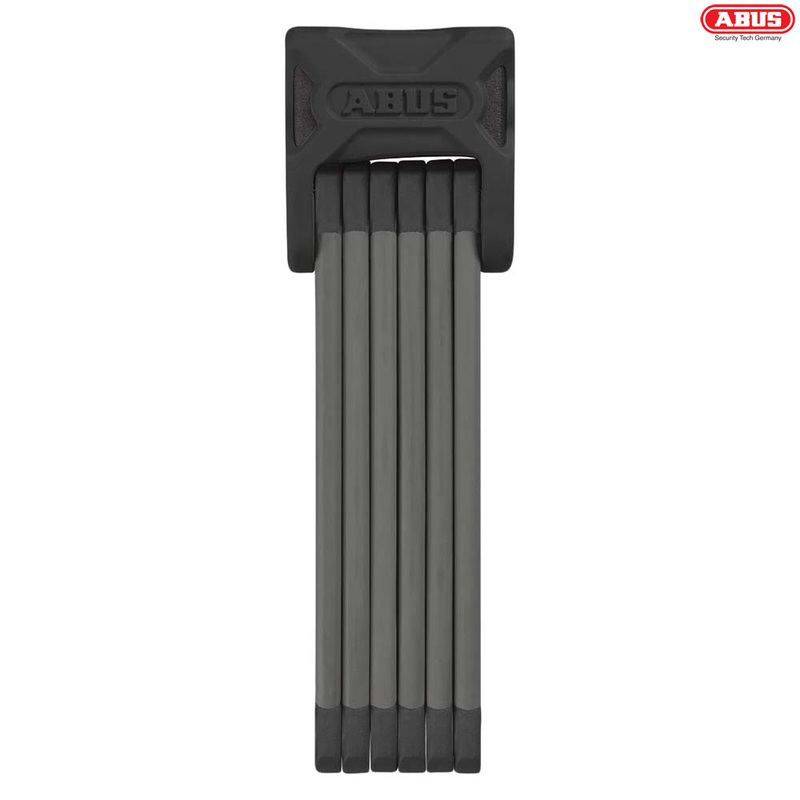 Fitted with Abus Extra Classe lock cylinder with encoded dimple keys, which are incredibly difficult to replicate. The Bordo 6000 is available in 75 or 90 cm sizes and are Sold Secure Silver approved. Yes we believe it does.